Thanks to everyone for supporting Saving Maine's Bear Hunt! Considering the importance this vote had on not only Maine hunters but hunting in general I thought it important enough to dedicate the blog over the last several months to defeating the "Bear Hunting Referendum". Now defeated, we can move along to postings of my inane and sarcastic ramblings. 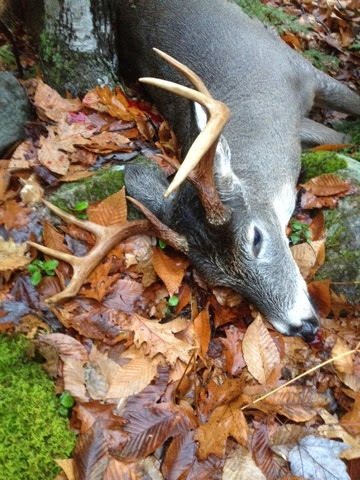 To jump start things, here is a picture from this deer season (2015) of a 170 pound 8 pointer I shot in central Maine during the second week of deer season.